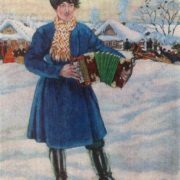 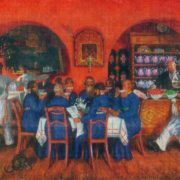 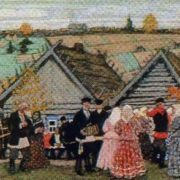 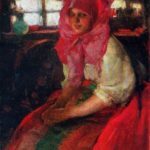 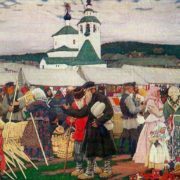 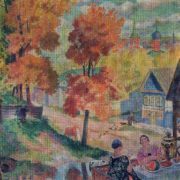 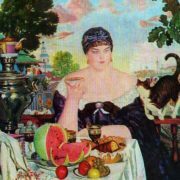 Despite the fact that the young artist gained wide popularity as a portraitist, for his competitive work Kustodiev chose a genre theme (At the Bazaar) and in the autumn of 1900 he went to the Kostroma province in search of inspiration. 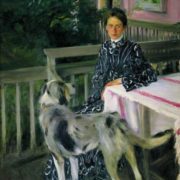 There Kustodiev met his future wife – 20-year-old Yulia Evstafyevna Proshinskaya. 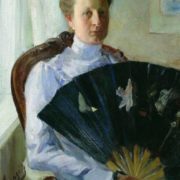 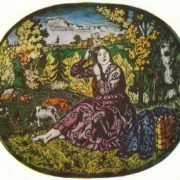 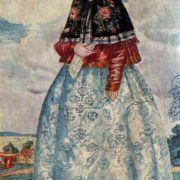 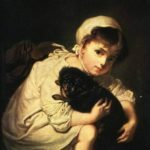 Subsequently, the artist painted several picturesque portraits of his beloved wife. 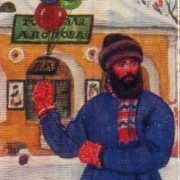 On October 31, 1903 Boris finished the training course with a gold medal and the right to an annual pensioner trip abroad and across Russia. 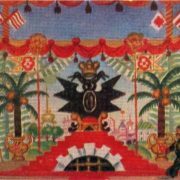 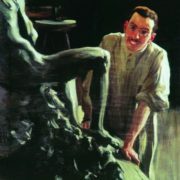 Even before the end of the course he took part in international exhibitions in St. Petersburg and Munich (the big gold medal of the International Association). 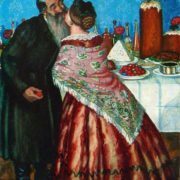 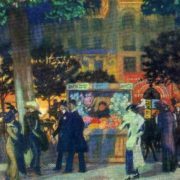 In December 1903, Kustodiev together with his wife and son came to Paris. 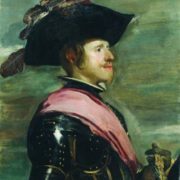 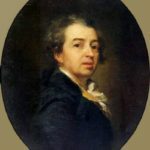 During his trip the artist visited Germany, Italy, Spain, studied and copied the works of old masters. 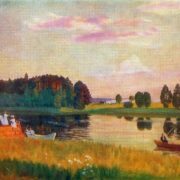 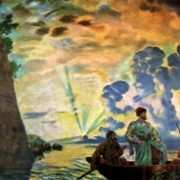 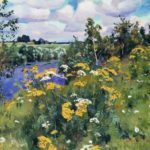 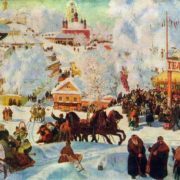 Six months later, Kustodiev returned to Russia and worked in the Kostroma province on a series of paintings Fair and Village Holidays. 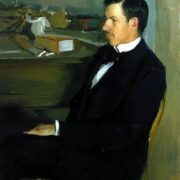 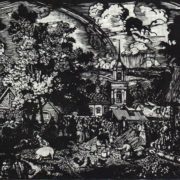 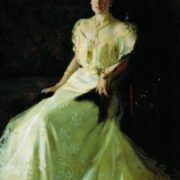 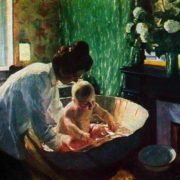 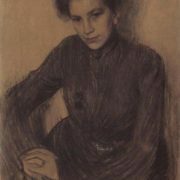 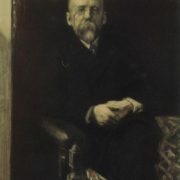 In 1904 he became a founding member of the New Society of Artists. 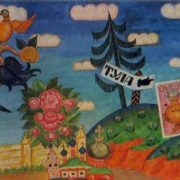 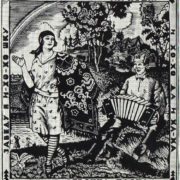 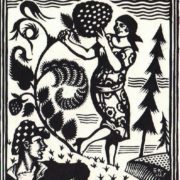 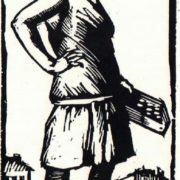 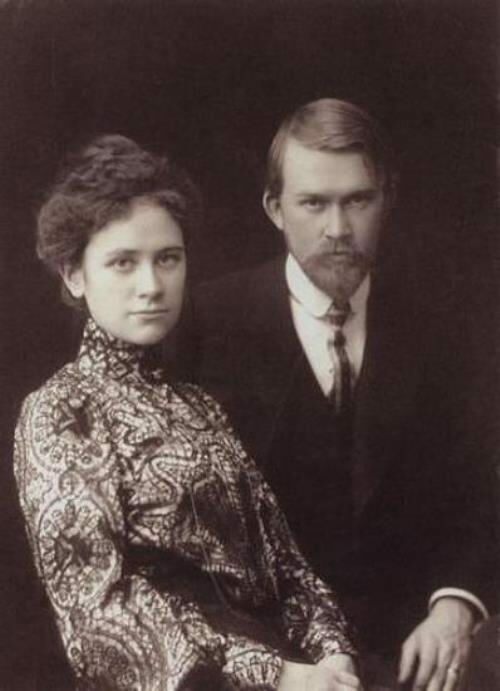 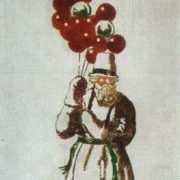 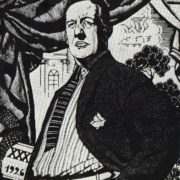 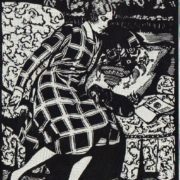 In 1905-1907 he worked as a cartoonist in the satirical magazine Zhupel, then in the magazines Hell’s Mail and Iskra. 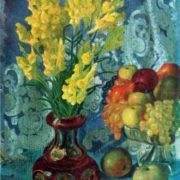 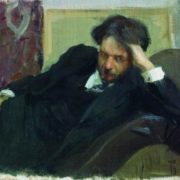 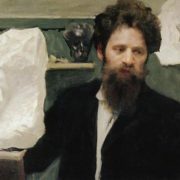 In 1907 he became a member of the Union of Russian Artists and in 1909 the artist became an elected member of the Academy of Arts. 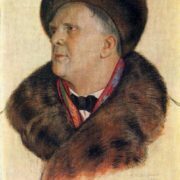 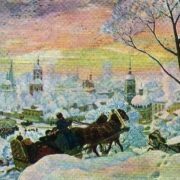 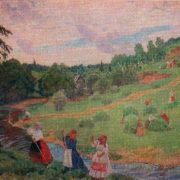 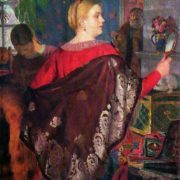 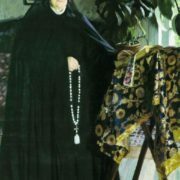 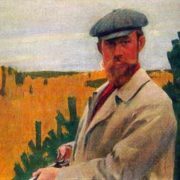 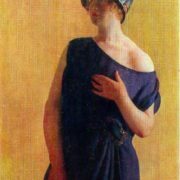 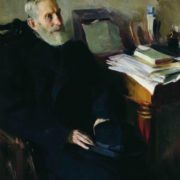 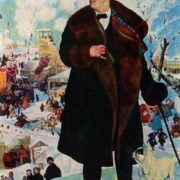 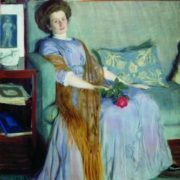 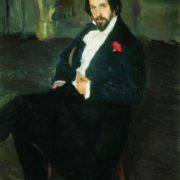 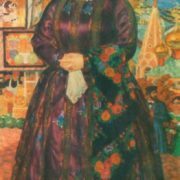 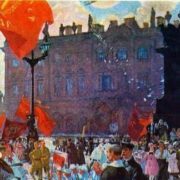 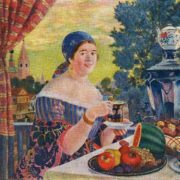 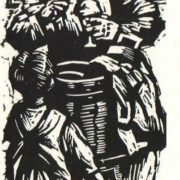 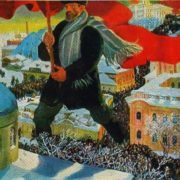 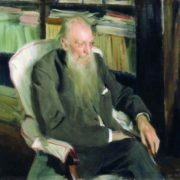 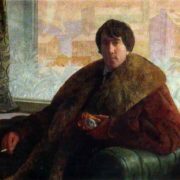 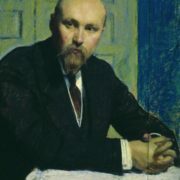 At the same time Kustodiev was asked to replace Serov as a teacher at the Moscow School of Painting, Sculpture and Architecture, but he refused. 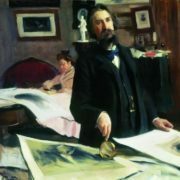 In 1909 Kustodiev had the first signs of a tumor of the spinal cord. 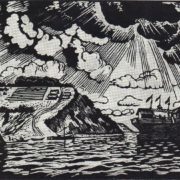 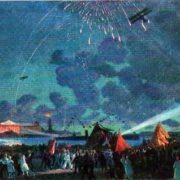 Several operations brought only temporary relief. 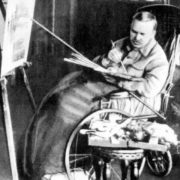 The last 15 years of life the artist spent in a wheelchair. 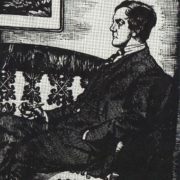 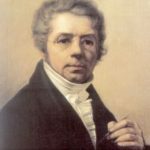 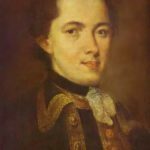 However, his brightest, most temperamental, and cheerful works appeared during that difficult period of his life. 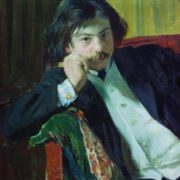 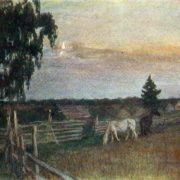 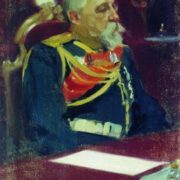 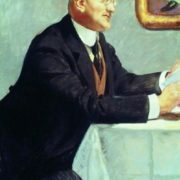 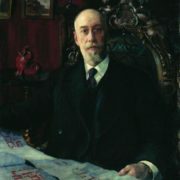 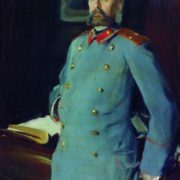 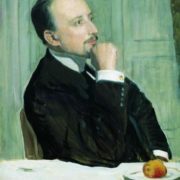 Boris Kustodiev died on May 26, 1927 in Leningrad and was buried at the Nikolsky Cemetery of the Alexander Nevsky Lavra. 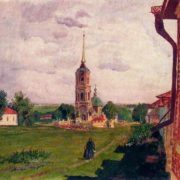 In 1948, the ashes and the monument were transferred to the Tikhvin Cemetery of the Alexander Nevsky Lavra.